Our proximity to the United States Patent and Trademark Office (USPTO) in Alexandria, VA, gives us several advantages that help us deliver higher quality results including unlimited access to the most powerful patent and non-patent literature databases. former US patent examiners, JDs, and LLMs. As each project is unique, communication is key. Our experts will communicate with you extensively from the start of the project till the end thereby dynamically customizing our search approaches and end work products for each project based on your search objectives. Our experts are always available to walk you through the uncovered references in no time. Nothing is more important to us than safeguarding the confidentiality and privacy of our clients. In addition to the extensive resources offered by the USPTO, we use cutting-edge search tools to do in-depth world-wide, foreign and non-patent literature (NPL) searching. Lincoln IP’s diverse team of patent agents and technology specialists includes former US patent examiners, JDs, and LLMs.  Lincoln IP, Inc. specializes in all major technology disciplines.